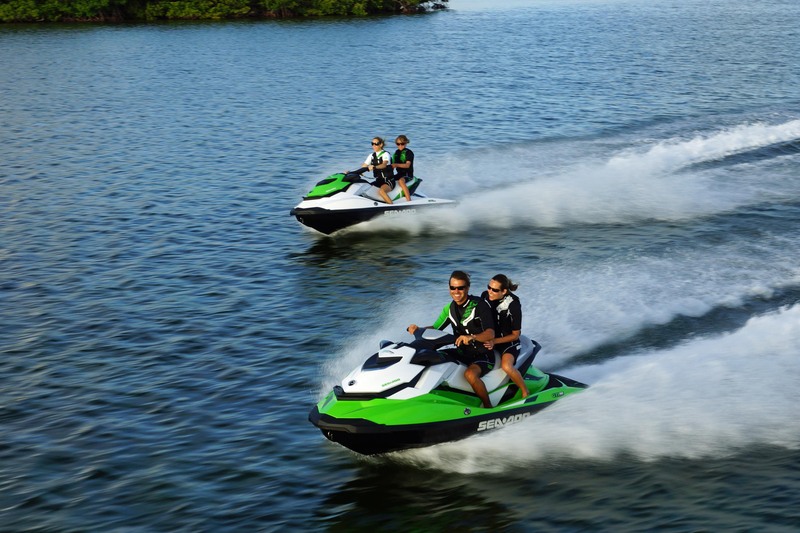 Great buys on Sea-Doo Spark, Great buys on Sea-Doo watercraft, Ready, Sea-Doo GTI, Sea-Doo GTX, Sea-Doo RXP-X, sea-doo rxt, Sea-Doo Spark, Sea-Doo summer specials, Set Summer! It’s here… Summer! The time we have all been waiting for! Time to spend countless hours on the water with family and friends and soak up every moment of sunlight. 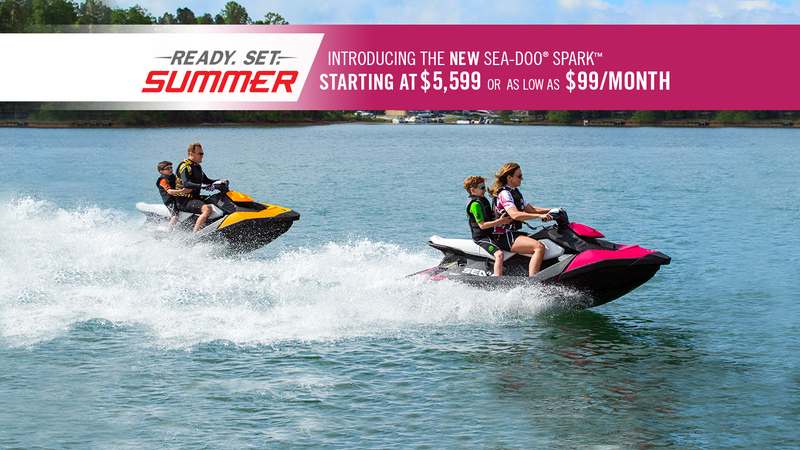 Sea-Doo just launched two promotions designed to help you take full advantage of the summer by helping you get out on the water on your own Sea-Doo watercraft! 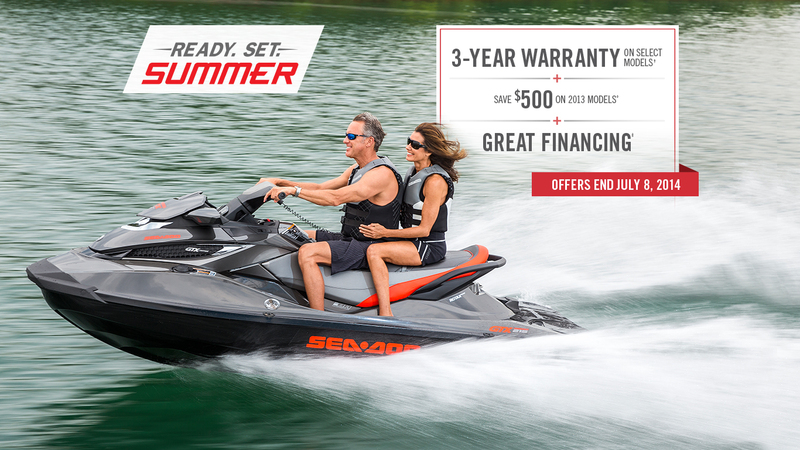 These offers are only value through July 8, so visit your closest dealer as soon as you can! 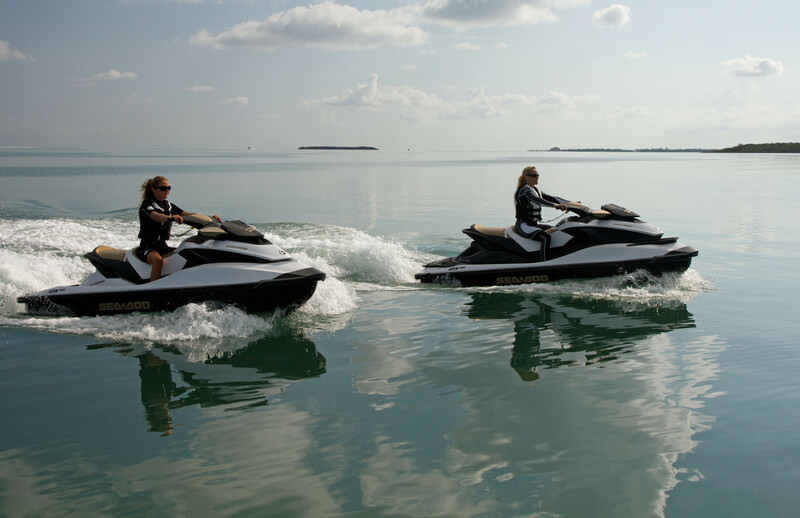 Personalwatecraft.com recently reviewed the 2013 Sea-Doo GTX 215. 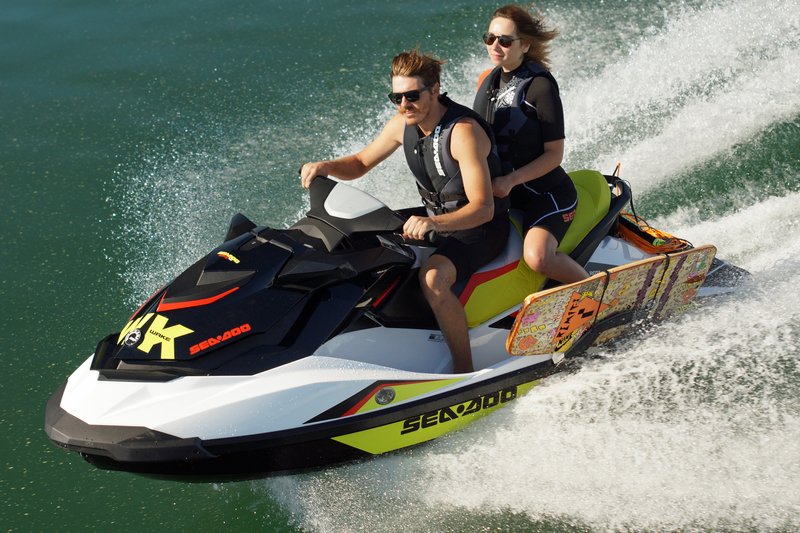 BRP’s Sea-Doo GTX 215 is the most powerful, non-suspended Sea-Doo model in the luxury performance segment. For 2013, the GTX 215 features iBR, iTC with the award winning ECO mode, cruise/slow speed modes, fuel consumption display, VTS, plush custom touring seat, hinged seat, tilt steering with digital infocenter, fold-down reboarding step, large glove box and watertight removable storage bin.